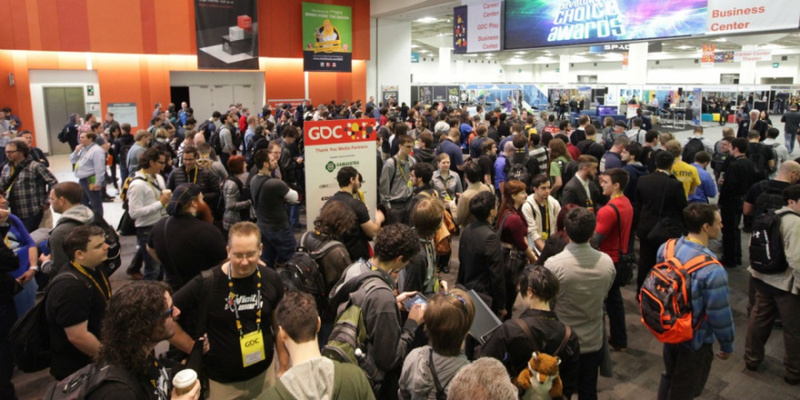 This year's Game Developers Conference is due to take place between Monday 27th February and Friday 3rd March 2017 in San Francisco, and Nintendo has confirmed that it will be in attendance. GDC is one of the industry's most effective means of bringing together platform holders with the wider dev community and Nintendo - which will be found at stands BMR5225, BMR5226, and BMR5230 in the Moscone Center's North Hall - no doubt intends to gain support for its new Switch console, which launches in March. The Switch launches alongside several confirmed retail games but Nintendo has so far held back on entirely confirming its eShop plans. We'll no doubt see more announcements as the weeks roll by, and GDC 2017 will hopefully result in even more indies and developers pledging their allegiance to the new hybrid machine. I hope I heard some great news from that events. Glad to hear they are heading back to events. I feel like this is going to be a very exciting year! I really hope this is a successful event for Nintendo. I do feel like the veil hasn't been completely lifted off the Switches capabilities. I would really like to see just how well the system handles the Unreal 4 Engine and Unity 5 Engine - this would be a great place for Nintendo to show some of that off! Like I'm happy that we have the nintendo ny store but why is it that so few gaming conventions are on the east coast? Fingers crossed for success on their part. Some extra third party support would be very nice. Hope there will be some great announcements coming from the conference... even if it's a few nindie developers jumping onboard. Maybe one of those developers knows how to get Netflix working on the Switch. Let's see... SquareEnix, Capcom, Koei Tecmo, Konami, SEGA, Level 5, EA, TT Fushion, Bandai Namco, etc. I'm so stoked for Switch and now FE Echoes also... Playing that Zelda with Joycons, aiming crossbow with Joycon, playing on the go ..
Switch needs wide variety of game genre. Genre that rarely made so far are: Life Simulation, Rhythm, Boxing games, Educational, 3D platformer ala Mario 64, Music simulation, Cooking games, Pet simulator, Quirky RPG ala Miitopia, Strategy Simulation, etc. @JaxonH do you know if the gyro aiming is confirmed for zelda whist playing with gripless joycons?? There was a member here on N-Life who got to try Switch at an event. Said you can use right Joycon to aim the crossbow. So I'm assuming that when you play, it doesn't matter if the Joycons are one in each hand or combined into a Pro Controller, either way it shouldn't matter. I don't know that for sure, but it's a logical assumption to make. The game probably doesn't know the difference between the Joycons being apart or together, or the difference between being held separate or slid into a middle grip. @JaxonH I hope you can! Gyro aiming is the best and I think playing with both joycons without the grips plus the HD rumble will make them the best controllers ever! Really hope it works for zelda! @JaxonH @JH64 I think the game will decide how the Joycons will work, based on early pictures it seems there are "networking" lights on the grip to show how the Joycons match up. The assumption you can use gyro controls with just the Joycons isn't unrealistic... though I'm guessing they'd lock it to either the left or right Joycon. Just to avoid confusing signals like the left Joycon being tilted down & the right tilted up. So we're going to be waiting for this to find out wtf with the virtual console. @DanteSolablood Yeah, would think you could choose left or right or just default to the right one instead of using the stick! Be cool if you could hold a button down and use it for camera control too! That's great, and essentially a launch party for the Switch, but Nintendo needs to dole out info every week till launch to keep interest and momentum, not to mention open more pre-orders. Do everything within your power to get Rain World onto Switch, Nintendo! Do it! Okay, but don't blow it. This is the Switch's last chance. Bring it on an after a big Nintendo Direct! to explode the Hype train. Anounce some most wanted games for the Switch: Pokemon, F-zero, Starfox, Metroid, Animal crossing, Smashbros, Pokken 2.